The last acts of an Executor of an estate are often making final distributions to the beneficiaries of the estate. But beware, in New Jersey, before making distributions, an Executor should require each beneficiary to provide a properly executed refunding bond and release. Under New Jersey law, N.J.S.A. 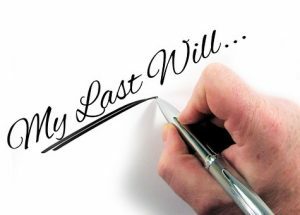 3B:23-24, the executor or personal representative of an estate is required to take a refunding bond upon making a distribution pursuant to a dececendent’s Last Will and Testament. The same statue also requires that the refunding bond be filed with the surrogate who probated the decedent’s Will. After all the estate assets have been collected, all debts of the estate have been paid, and a determination as to what each beneficiary is entitled to receive has been made, the executor or personal representative of the estate must prepare, or have the attorney representing the estate prepare, a refunding bond and release for each beneficiary which states, among other things, what the beneficiary will be receiving as their distribution from the estate. When a beneficiary executes a release and refunding bond, he or she is agreeing that, if the assets which were distributed to him or her are required at a later date to pay a debt of the estate, that beneficiary will return the assets as needed to pay that debt. Fully executed refunding bonds from each beneficiary provide the executor or personal representative of the estate with security in the unlikely event that any claims are made against the estate after distribution of the assets. The release portion of the documents proves that the executor or personal representative of the estate has made the proper distribution and the beneficiaries have received the share of the estate to which they are entitled. It absolves the executor or personal representative of the estate from any liability pertaining to the administration of the estate and it discharges any future duties regarding the estate. A refunding bond and release must be signed by each beneficiary before a notary public or attorney. After it is properly executed, a refunding bond and release for each beneficiary must be filed with the Surrogate in the county where the Will was probated. If the executor or personal representative of the estate was required to file a bond, the filed refunding bond and release should be provided to the bonding company and then the bonding company will release the bond. If you require any assistance in the administration of an estate or preparing and filing refunding bonds and releases; the New Jersey estate attorneys at McLaughlin & Nardi, LLC can assist you.